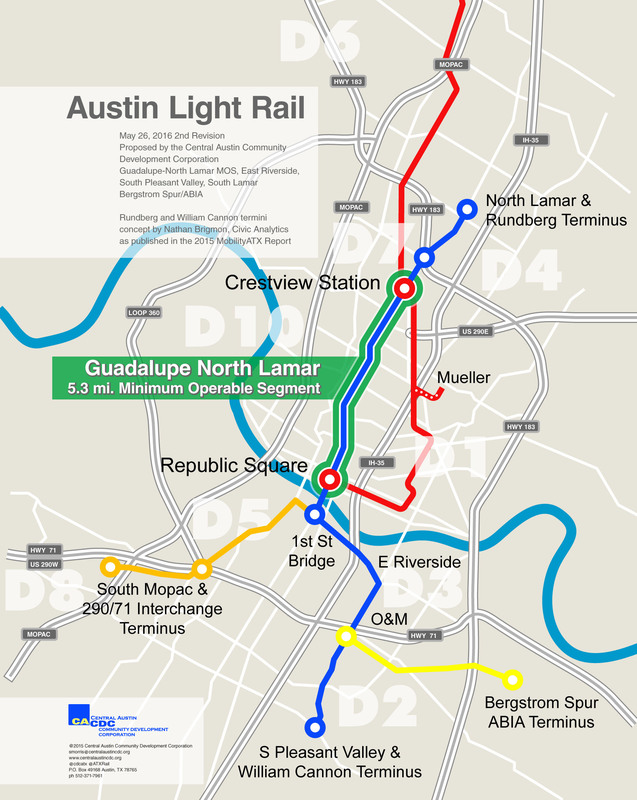 Capital Metro — Back to 1986? Austin’s Capital Metro seems determined to return to the thrilling days of yesteryear – at least in its longrange transit system planning. That would appear to be the case, according to reports from participants in a meeting where representatives of Project Connect (unearthed from its grave by Capital Metro) presented the agency’s “priorities” for regional transit system planning. The presentation, organized on the evening of November 15th by the Friends of Hyde Park neighborhood association, was reported by Austin community transit activist Mike Dahmus in Twitter messages and a posting on his blog. Mike’s report, with confirmation from other participants, makes it clear that some implementation of “bus rapid transit” (BRT) on I-35 is (in the words of one observer) a “foregone conclusion”. But this is a revival of a faulty 1986 plan from the agency’s past. This proposal for “BRT” (i.e., express or limited-stop buses) on I-35 is basically a reversion to Capital Metro’s planning as of about 1986, at the start of the Transitway Corridor Analysis Project (TCAP). This early study effectively began with the premise that “BRT” was probably the desirable “rapid transit” mode for the region (although light rail was included in the TCAP study as a kind of whipping-boy target to be rejected). Just as with the agency’s current scheme, the 1980s-era “BRT” plans envisioned buses running in I-35. Feeding more buses into the I-35 alignment was to be the function of a northwestern branch; this was proposed as alternatives of running buses either in U.S. 183 or in a dedicated busway to be constructed along the new railway alignment (now the Red Line) that had been acquired by the City of Austin from the Southern Pacific Railroad. Unfortunately for that “BRT” strategy, a number of savvy light rail transit (LRT) advocates were members of the TCAP Technical Group of Capital Metro’s then-very-active Citizens Advisory Committee, which met regularly (every two to three weeks or so) during the study process. Particularly knowledgeable about technical issues relating to the comparative evaluation of transit modes (e.g. 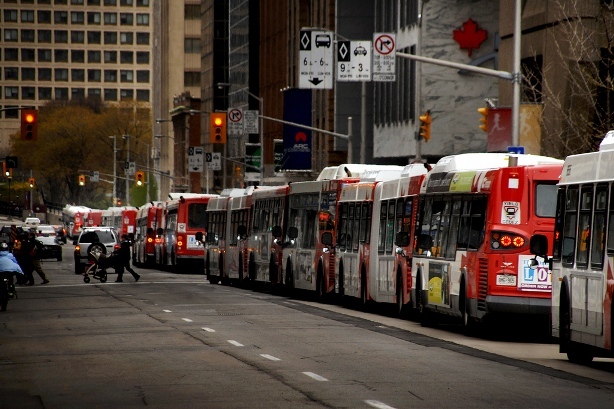 issues from ridership forecasting to infrastructural, operational, and cost issues), community activist Dave Dobbs and public transportation planner Lyndon Henry were effective in responding to various claims and factual errors forthcoming from both Capital Metro staff members and consultants. The end result was a recommendation from the Technical Group for the Capital Metro board to approve LRT as the preferred mode, and subsequently (in 1989) the board did designate LRT as the agency’s Locally Preferred Alternative (LPA) for the central corridor. • Conclusion that LRT would yield better compatibility (and fewer environmental impacts) with Austin’s urban environment than BRT. Unfortunately, there’s no indication that any of these issues are being considered in the current Project Connect 2.0 study process, or emerging as a focus of attention on the part of today’s Capital Metro board. 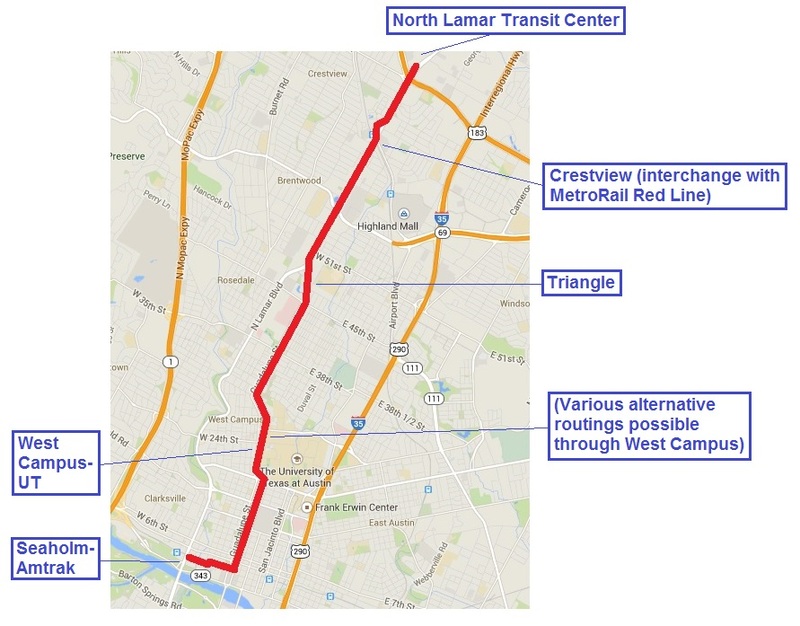 The framework for discussion has been set in a way that heavily disfavors Guadalupe/Lamar rail. There are three ‘segments’ of travel they put up on the screen; as well as a slide which shows “previous HCT studies”. Guadalupe/Lamar is not in the top slide (most important service), nor is it listed in “previous HCT studies”. 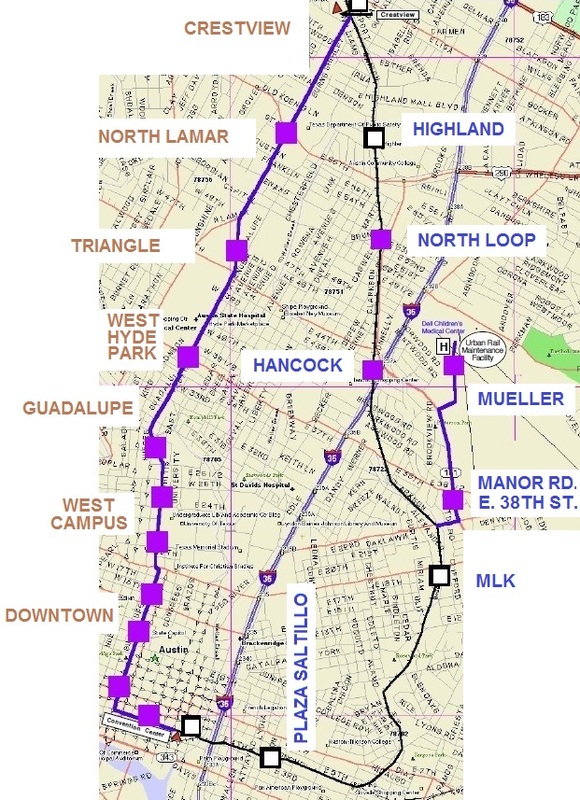 It is instead consigned to the second group, called “connector corridors”, implying that Capital Metro has already decided that it cannot be the spine of the transit network. … when the majority of your passengers on your theoretical ‘spine’ have to transfer, YOU HAVE A BAD SPINE, DAWG. Spines need to go down the middle and get to the good stuff. And especially on the ‘work end’ of the trip (not the ‘home end’): if a large percentage of your riders have to transfer off the spine, you’ve chosen poorly. For Houston, the strategy meant building a light rail through the city’s primary urban corridor, where lots of people already live and work. Cities often shy away from that approach because it’s more expensive and disruptive to lay tracks in such populated locations. But the factors that make it difficult to build light rail there were exactly the things that made it the right place to have light rail.